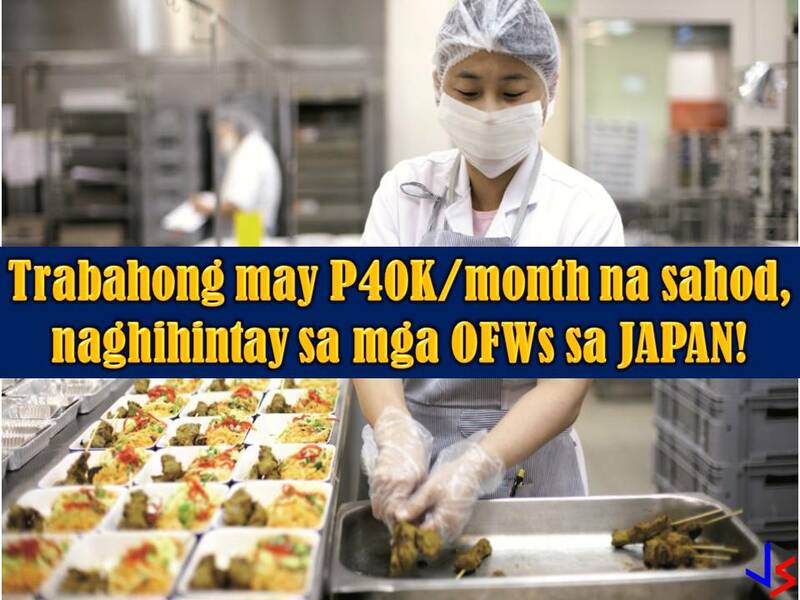 Repatriated Overseas Filipino Workers (OFWs) from Kuwait can no apply for work in Japan. According to Department of Labor and Employment (DOLE), international employment opportunities in Japan are now awaiting OFWs including those who are distressed from Kuwait due to employment ban imposed by the Philippine government. 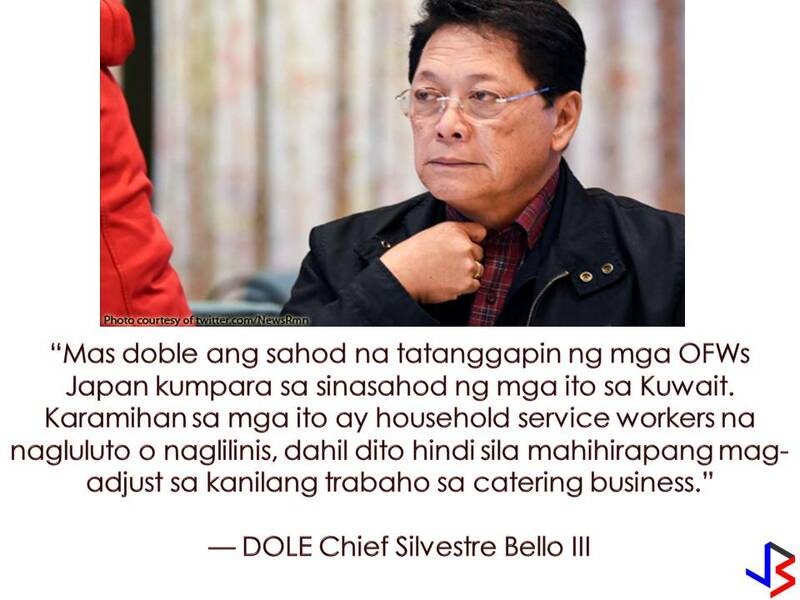 According to DOLE Secretary Silvestre Bello III, a group of Japanese businessmen has offered to hire Filipino workers from Kuwait for their flight catering business. Bello said those companies plan to hire 1,000 Filipino workers and offering a good salary of $800 dollars. According to Bello, the salary is twice what repatriated OFWs received in Kuwait. Bello said he is confident many of the 2,000 OFWs they were able to repatriate from Kuwait will qualify for said vacancies once they undergo the necessary training in the next two months. 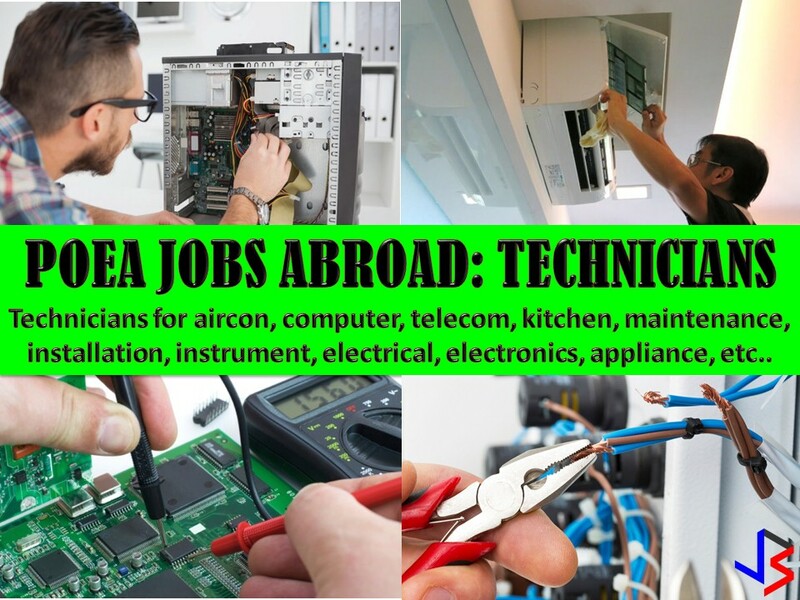 On the other hand, as a preparation for the processing, the Technical Education and Skills Development Authority (TESDA) urged the repatriated OFWs to apply for the training during its two-day special National Technical and Vocational Education and Training enrollment next month. 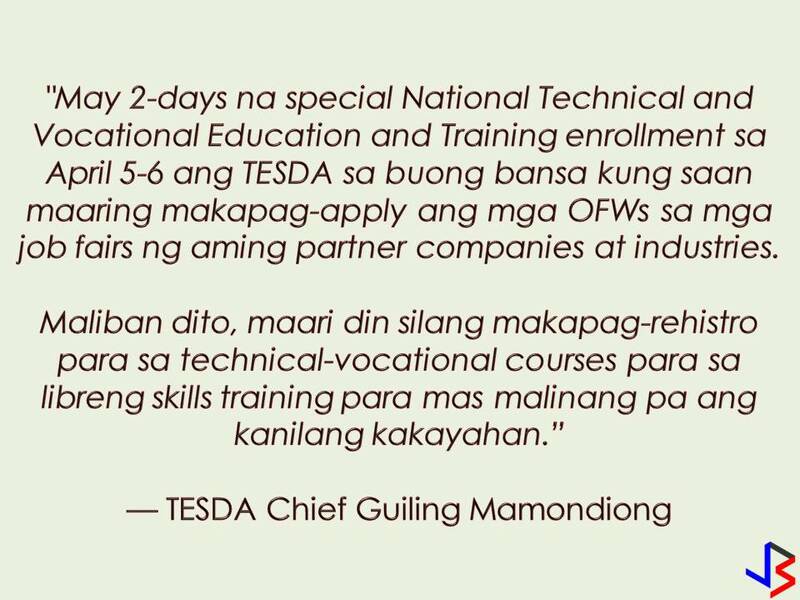 Tesda Director General Guiling A. Mamodiong said the event will be held on April 5 and 6 at Tesda technology institutions nationwide. TESDA said the nationwide enrollment aims to address the needs of the repatriated OFWs from the Middle East, as well as the manpower needs of the local construction and business-process outsourcing industries. 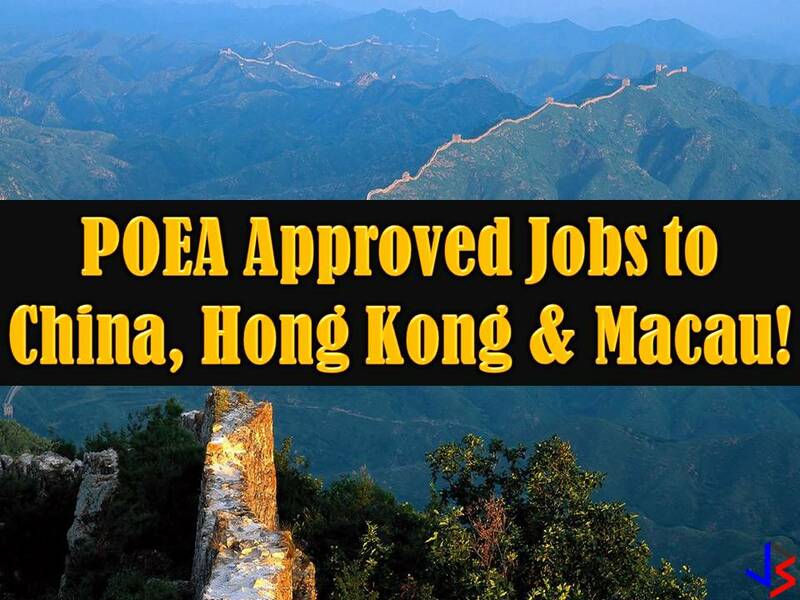 Read: China, Macau & Hong Kong Are Hiring Filipino Workers; Here Are Job Orders from POEA! 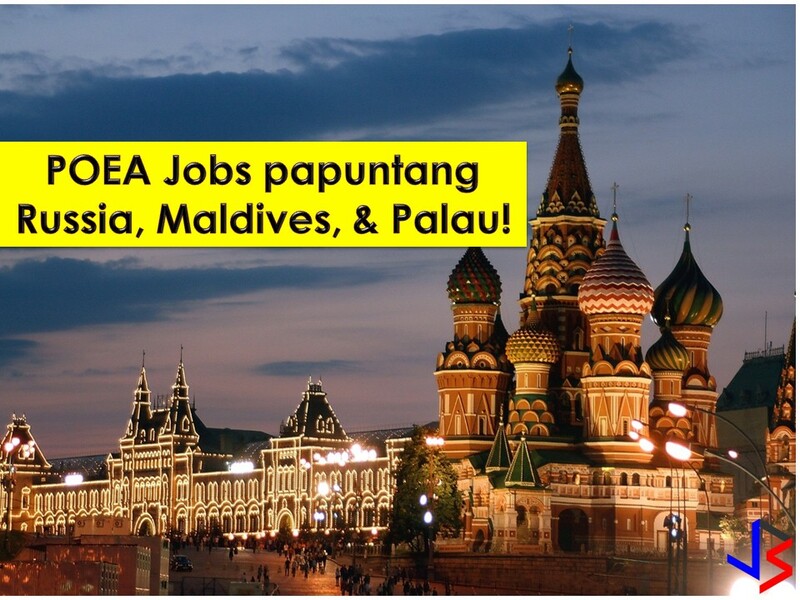 Read: POEA Approved Jobs to Russia, Palau & Maldives! 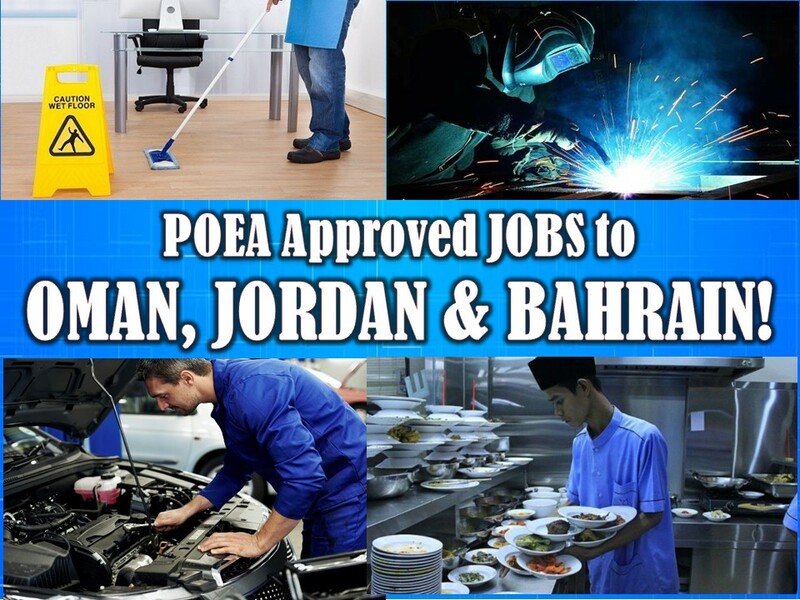 Read: Bahrain, Oman, and Jordan are Hiring Filipino Workers This March! 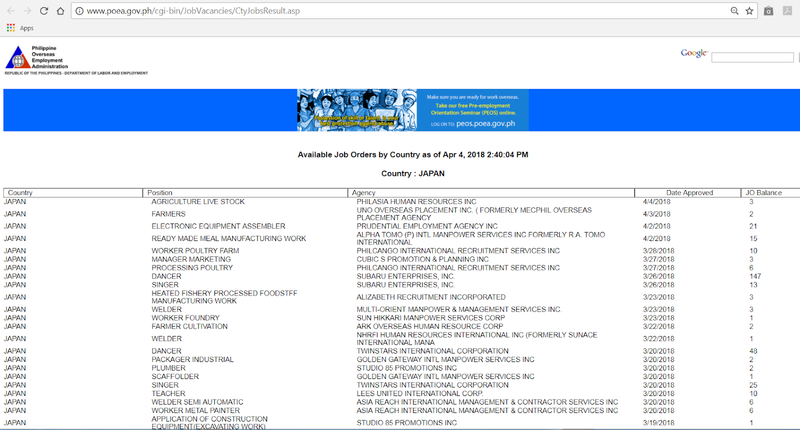 Job List Is from POEA!